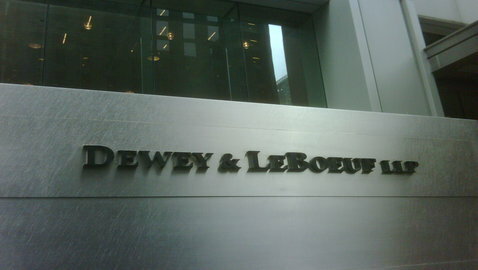 Home » Home » Did Citibank Conspire to Hide Dewey’s Financial Weaknesses? Did Citibank Conspire to Hide Dewey’s Financial Weaknesses? In a not unprecedented move, (such moves were also there in the Howrey collapse), Steven Otillar, a former Dewey & LeBoeuf partner filed a 23-page motion in New York federal court in response to a lawsuit filed by Citibank against him for defaulting loan payments. The motion filed by Otillar, however, claims that Citibank participated in “a fraudulent scheme” to help a few leaders of Dewey hide the actual financial situation of the law firm from the eyes of other partners. The motion also mentions that Otillar and other partners were “fraudulently induced” into signing a Citibank loan program that financed the capital contributions of partners joining Dewey. So far, Otillar seems to be the only former partner of Dewey who has been sued by Citibank for defaulting on loans. Ottilar argues that Citibank had a fiduciary duty to warn him about the actual financial situation of Dewey & LeBoeuf, which the bank was fully aware of. He said that the loan program for financing partner contributions at Dewey was designed by Citibank and the Dewey management to shift a pre-existing debt owed by Dewey to individual partners. According to Otillar’s claims, Citibank was fully aware of the precarious finances of the law firm when it structured the arrangement, and the bank should have notified him and other incoming partners of the huge risks involved in the arrangement. While it is extremely rare for a bank to sue a former partner of a collapsed law firm individually over a capital loan – the money partners borrow to finance their investments in a law firm – it is not known why Citi singled out Otillar. In his motion, Otillar argued that the fact the bank issued letters of credit to some of Dewey’s management team to secure management’s compensation in the event of the firm’s collapse, shows that the bank was fully aware of the troubles of Dewey at the time when it “induced” Otillar to sign for a capital loan.